We felt that last night's Four Corners program on so-called gene patents failed to present any sort of balanced view of the topic, devoting about 90% of its time to the case against, predictably focusing on dedicated doctors, lawyers and researchers along with emotionally-charged examples of individuals and families whose lives have been tragically affected by genetic diseases. Were it not for brief interviews with US patent attorney Kevin Noonan during the first part of the program, and Executive Director of the Sydney Garvan Institute Professor John Shine towards the conclusion, there would have been no contrary case presented whatsoever. 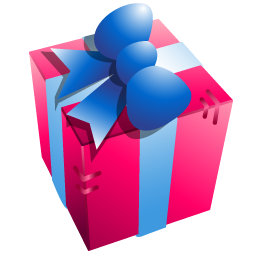 Myriad wishes to gift Australian Patent No. 686004 to the people of Australia. To do so, it has made an offer to surrender the patent pursuant to section 137(1) of the Patents Act 1990. ... Myriad's offer does not constitute an admission that the patent is invalid. As we have reported previously, exclusive licensee Genetic Technologies has not been enforcing the patent in Australia. It is therefore likely that Myriad is losing little, or nothing, financially by surrendering the patent. On the other hand, it will avoid the possibility of potentially damaging invalidity proceedings in Australia during the lead-up to its appeal in the US. It is difficult to see this offer as anything other than a strategic move, rather than a generous gift. Of course, Four Corners described this as "cynical". However, it may not be straightforward for Myriad to surrender the patent. Under the provisions of section 137, the Commissioner of Patents does not have to accept the offer of surrender, but must first give notice of the offer and allow interested parties an opportunity to be heard. Furthermore, an offer to surrender cannot be accepted while the invalidity proceedings are pending, without leave of the court and consent of the parties to the proceedings. Considering that the proceedings were brought as a test case, it seems highly likely that the consent of the litigants will not be readily forthcoming.